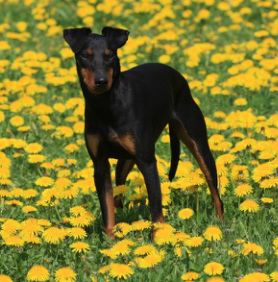 The Canadian Manchester Terrier Club is an organization dedicated to promoting the interests of a noble and loyal breed - the Manchester Terrier. Despite enjoying much popularity even as recently as the middle of the 20th century, the Manchester has now fallen into relative obscurity in this country. A few dedicated fanciers remain, however, and are committed to increasing public awareness of the breed while protecting its future. 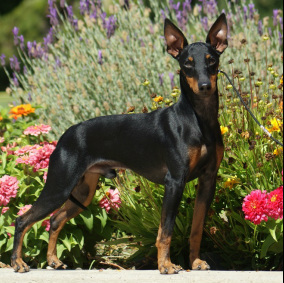 Formed in 1998, the CMTC was accredited as the Manchester Terrier's official parent club by the Canadian Kennel Club in 2002. The club offers a quarterly newsletter, The Ratter's Review, which provides breed fanciers with a fantastic way to share information on issues facing the breed. Several Club committees work actively to address concerns and activities related to the breed, including education, rescue and fundraising initiatives.he Club has been a world leader in health research and is constantly striving to support both breeders and owners. The CMTC's first National Specialty was held in 2004 with subsequent National specialties held every two years. All owners, breeders and fanciers of the Manchester Terrier (Toy and Standard) are encouraged to join the CMTC. Club members are expected to take an active role in CMTC initiatives and adhere to the Club's Code of Ethics. 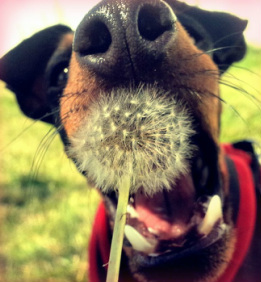 For more information on the Canadian Manchester Terrier Club, referrals to member breeders or breed information, please contact us at any time.